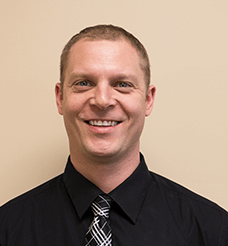 Brandon Gerardy earned his Bachelor’s Degree in Health Science from Grand Valley State University and a Doctorate in Physical Therapy from the University of Michigan in 2008. His treatment philosophy centers on patient education, as well as utilizing manual therapy and functionally-based exercises to help patients achieve their goals. Brandon earned his certification in Mechanical Diagnosis and Therapy from The McKenzie Institute and is currently pursuing a certification in Applied Functional Science from the Gray Institute. Outside of work, he enjoys spending time with his wife and daughter as well as distance running and competing in flat water marathon canoe racing.